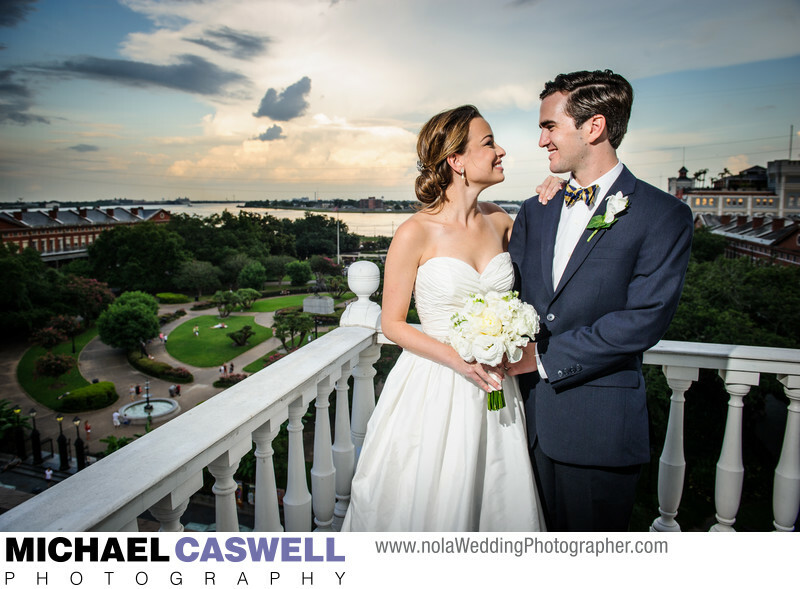 A beautiful early evening sky served as the backdrop for portraits of this couple after their wedding ceremony at The Cabildo in the French Quarter. One of the benefits of being married at the Cabildo is that you usually have the option of being brought up to this top portion of the building for some photographs. It's a bit tight up there, but the views are unforgettable! Location: 701 Chartres St New Orleans, LA 70130.